'Treinador' which is Portugese for coach, right. 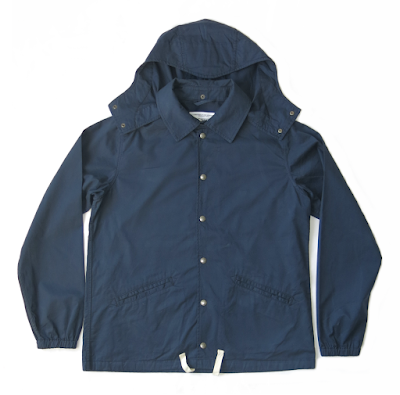 This is a reworking of the classic coach jacket and made in Portugal, see. Which is where the title comes in, because things need to have a name! 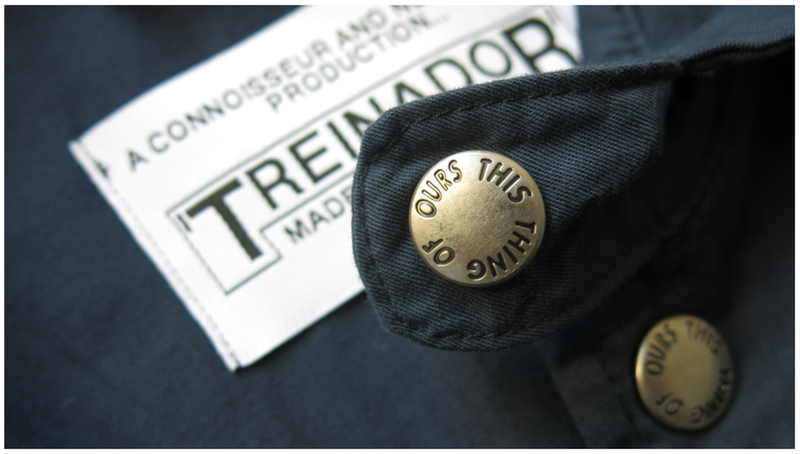 The Treinador jacket is made from a lovely soft cotton, a nice lightweight jacket for the warmer but unpredictable weather. Made in collabration with NewFangle Clothing, this features two front hand pockets, a button off drawstring hood, inside pocket for your phone and a large rear YKK zippered hip pocket. Cotton twill drawstring to hem. Branding is kept to a more subtle minimum with 'This Thing Of Ours' press studs on the outer and inner neck label. 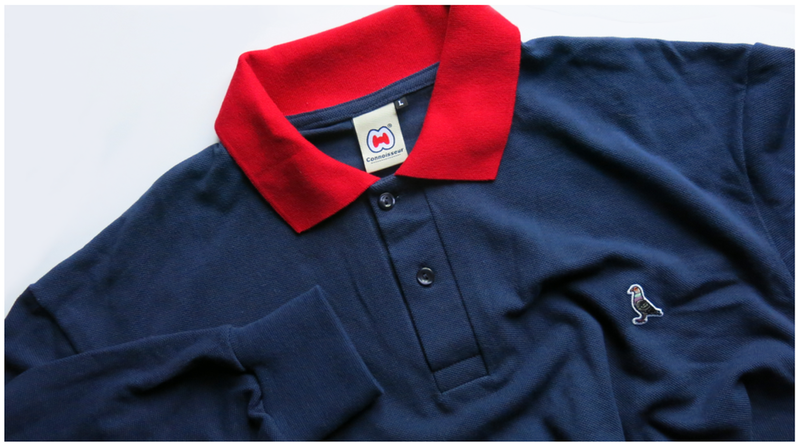 Classic silhouette that will never date, smart and understated, on a really nice shade of darker blue. 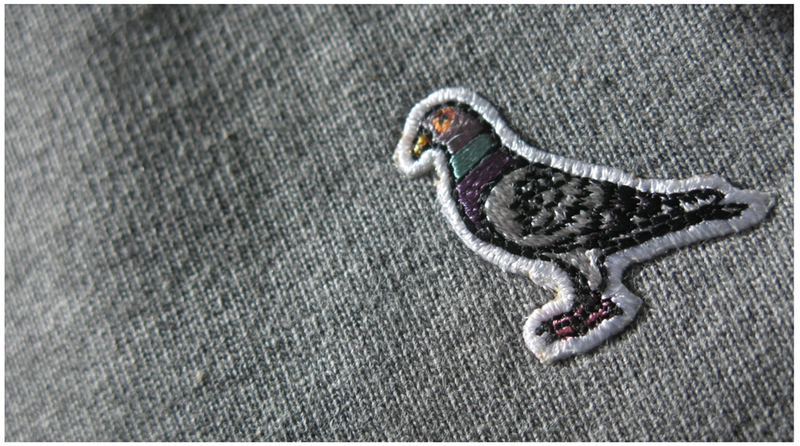 We're really happy with how these turned out and we're sure you will be too. 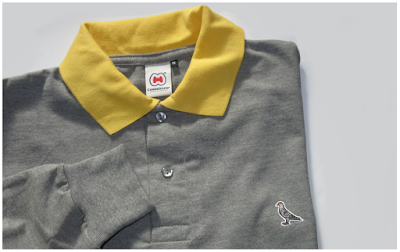 This Wednesday finally see's the release of our new Polo's. 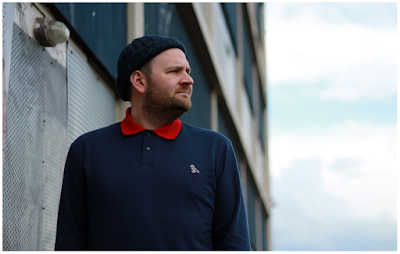 They've been a long time coming, made right here in Blighty to our exact spec, Long sleeved and featuring contrast colour collars.